In the world of superheroes, anything is possible. As we all know, Marvel and DC are the biggest comic book publishing houses in the world. The fan-fights among Marvel and DC cheerleaders is as vitriolic and passionate as between liberals & conservatives or Democrats & Republicans. There is always a debate among comic-book enthusiasts as to which camp is doing better – Marvel or DC. But in peak nineties, they came together and merged their characters, teams and their universes to form some unbelievable characters which were printed under the name of Amalgam Comics. The new characters, thus formed, were an amalgamation of their most famous characters like Batman and Wolverine became Dark Claw and many more. 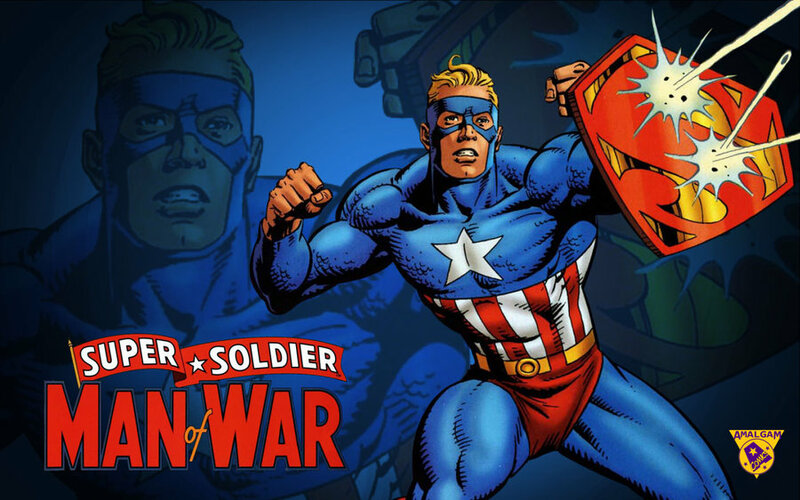 Super-Soldier is the amalgam of Superman (DC )and Captain America (Marvel). The US army gave super-soldier serum which was made from the cellular samples from an alien whose space rocket landed in 1938 to a 4-F volunteer, known by the name Clark Kent who was then exposed to a massive jolt of the solar radiation. The scientist somehow knew how it would affect the soldier but to their surprise, he became something else.